Fisher Creek Trail, North Cascades N.P., WA, 8/2012. Also known as Hardhack, Steeple Bush and Douglas Spiraea. 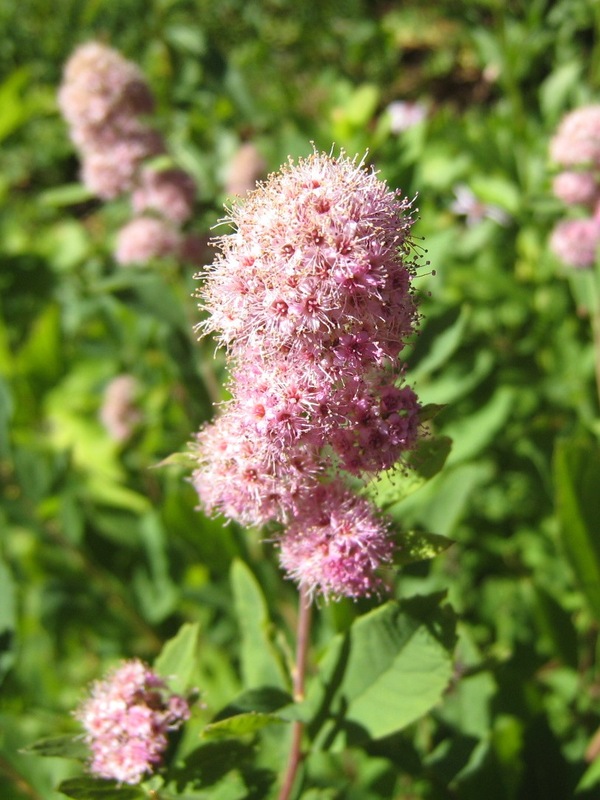 Unlike Mountain Spiraea, this has cone or pyramid shaped flower clusters, occurs at lower elevations and can be found in yards and gardens. This entry was posted on September 1, 2012 by nwwildflowers. It was filed under alpine/subalpine meadow, Cascades, Coastal, July, Low Elevation, marsh wetland/water's edge, Mid Elevation, pink, rose, Washington and was tagged with flower, North Cascades National Park, Wildflowers. Your site has become a valuable resource when I need to identify wildflowers I have come across. Firstly, because you do a lot of hiking in the same general area that I snoop around. And secondly, because of the way you have categorized your wildflowers by blossom color. It makes it so easy to find what I am looking for in a very short time. I just spent over a half hour doing a general internet search trying to ID a wildflower. Then I went to your site and literally found what I was looking for in in five seconds (Pyrola picta). I simply went to white blossom, and there it was, seven down from the top. And while I was there, I found two other flowers in my group that I wanted to know the name of. Thanks so much, Tom and Tara, for your diligent effort to catalog the wildflowers of the Northwest! Thanks a bunch! Comments like this make our day! We’re glad we can be of assistance.